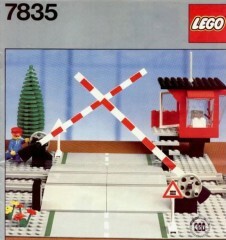 Today's random set is 7835 Road Crossing, released in 1985. It's one of 6 Trains sets produced that year. It contains 129 pieces and 1 minifig, and its retail price was US$18.15. It's owned by 1027 Brickset members. If you want to add it to your collection you might find it for sale at BrickLink or eBay. Another train set, yay! Never mind the signs, I'd love to see those big cypress trees back. I had this as well as its powered counterpart. Lovely little set with a base plate! Great set - currently in displaying in the town my daughter built recently alongside the modern equivalent and for me, this older one has much more character! Great signs, tree, flowers, barriers - a good place for the chap to work!!! I think LEGO should be releasing more accessories for trains like wagons or similar sets like this one. 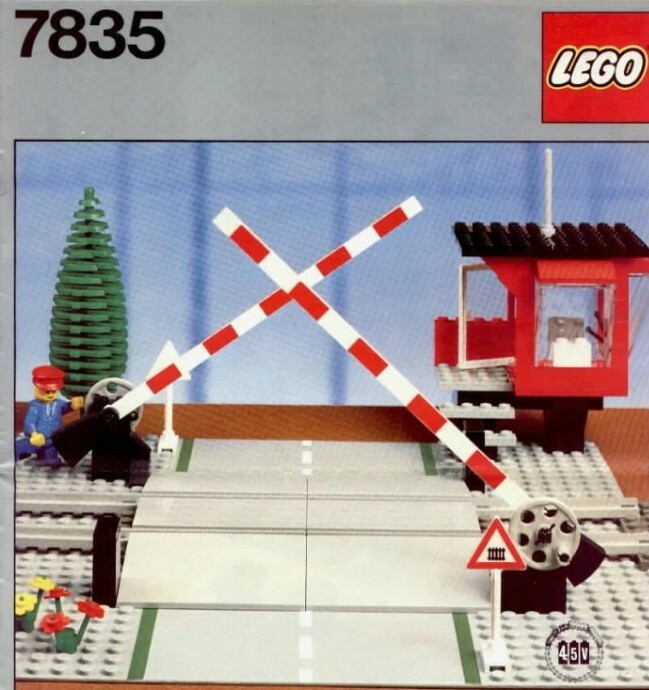 This year LEGO did not even launch a major train station as in previous years. I always thought this was a great-looking set. I never had one, but I did get the one produced in the 2000s. It’s a great set, too, but these earlier ones have a charm from parts efficiency that’s hard to beat. I wasn't alive in 1985, but did railroad crossings actually have an attendant back then? Today, they're all automated and I remember them being that way in the early '90s as well.